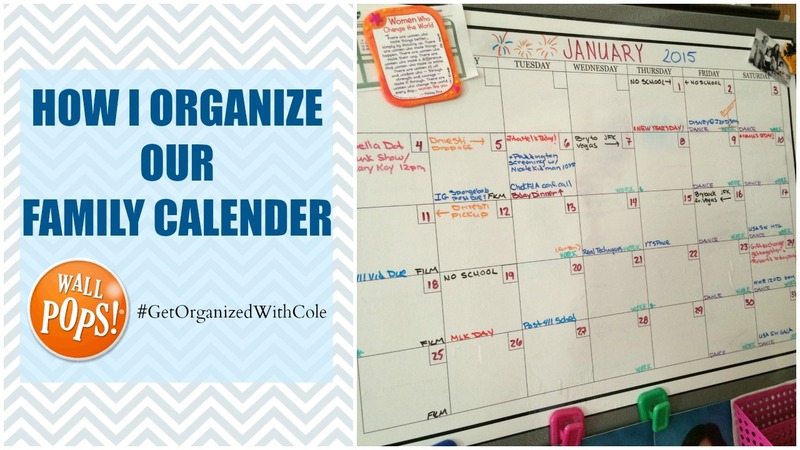 This is the first video to officially kick of my #GetOrganizedWithCole series where I will be sharing different ways I am working on getting myself and my family organized in 2015. As requested, some of you have asked about my family calender from Wall Pops. So in this video I show how I had it organized for the entire month of January and how I set it up for February. I love that this calender is dry erase and can be removed from any surface to use month after month. Best part is that it’s only $14.99. This item made it to my Best of 2014 video and giveaway which you can enter here until 2/11/15.